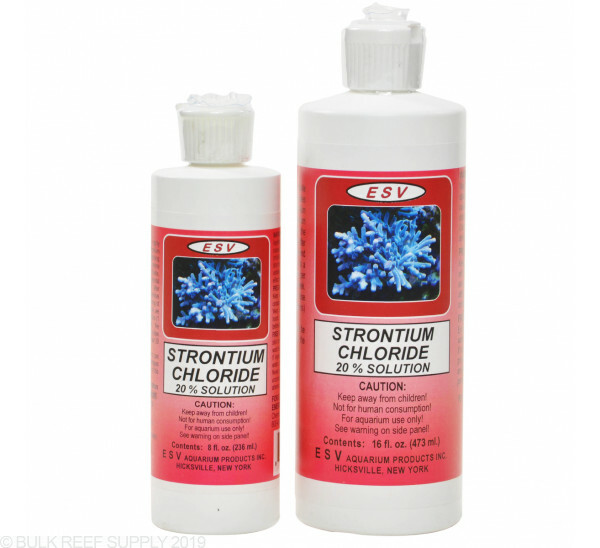 Maintain dissolved strontium chloride levels in your saltwater aquarium. 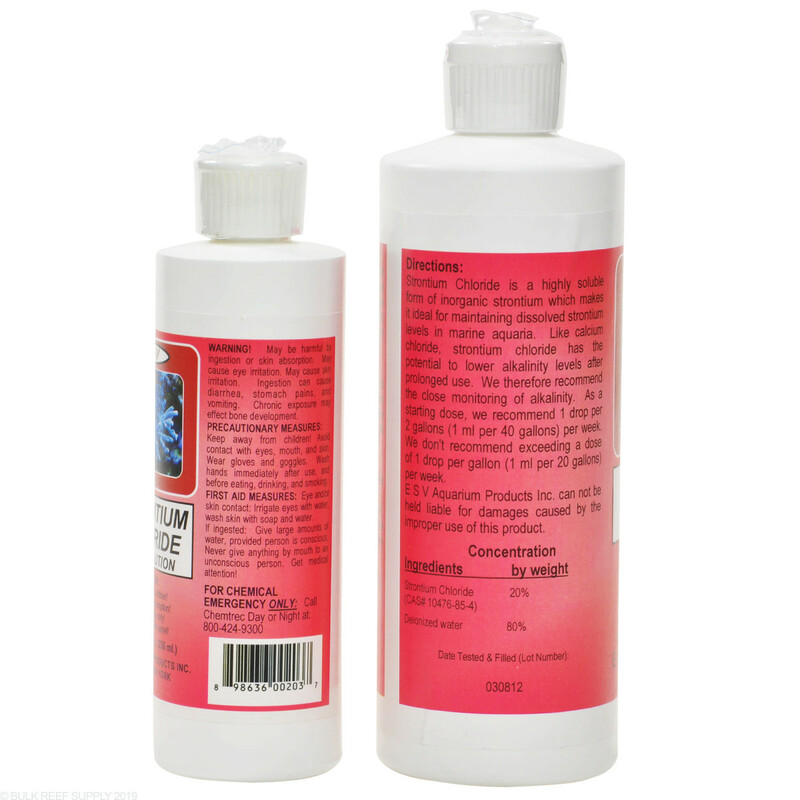 Strontium chloride, like calcium chloride, has the potential to lower alkalinity levels after prolonged use. Be sure to monitor alkalinity closely. Recommended starting dose of 1 drop per 2 gallons per week. Do not exceed 1 drop per 1 gallon per week. Strontium chloride, like calcium chloride, has the potential to lower alkalinity levels after prolonged use. 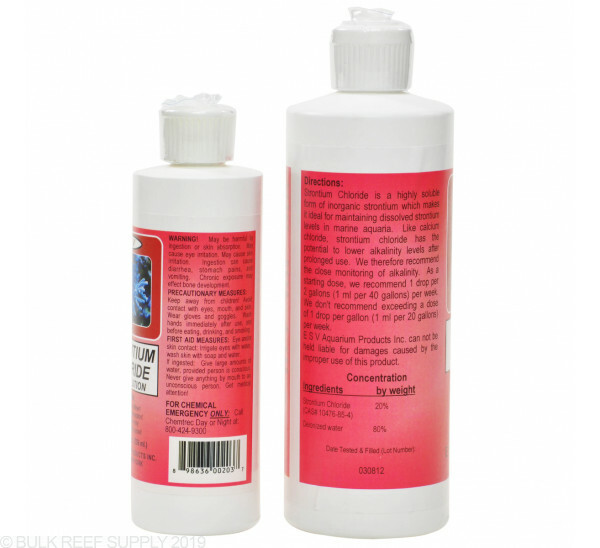 Be sure to monitor alkalinity closely. Recommended starting dose of 1 drop per 2 gallons per week. Do not exceed 1 drop per 1 gallon per week.